Dark foggy road. A set of headlights appear in the rear-mirror and they’re coming up fast. What do you do? 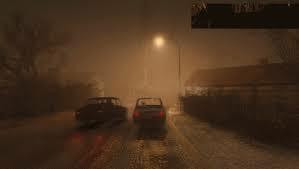 Beware is a PC open-world driving simulation that brings a shared scenario to virtual life. What would you do if someone was following you late at night and tried to run you off the road? Czech developer known as Ondrej Svadlena is currently making the game which is still in early development. Beware takes the player on a road trip of exploration in order to gain information. 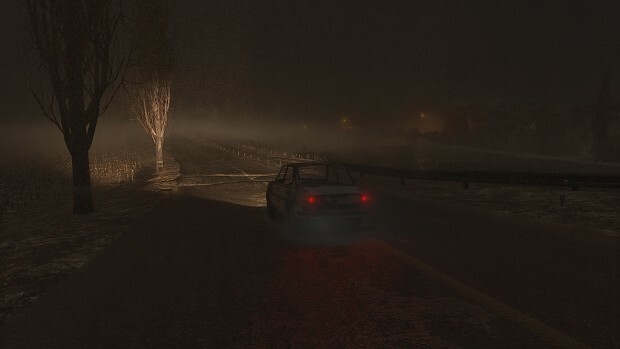 In order to bring an element of intensity and suspense, the gameplay incorporates 70’s movie-era car chase dynamics with challenging AI opponents. 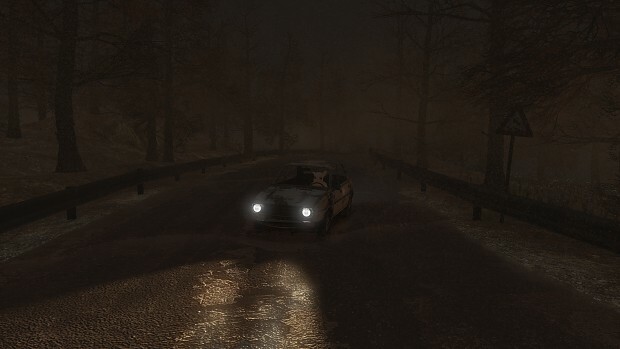 This is the first car-based horror videogame I’ve seen that actually involves the skill of driving. 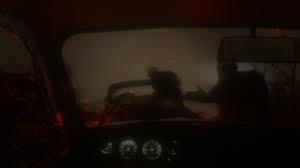 Trying to outrun a set of headlights that’s hell bent on running you off the road on a dark and foggy night through what appears to be rural Eastern Europe. The full game isn’t finished, but a free downloadable demo was released on indiedb.com in May. It’s a simple premise. The game starts in a POV shot of you inside a small sedan. It is rear-wheel drive and rear engine (according to the game). You are in an eerie looking trailer park in the middle of the night with a fog surrounding you. Start by driving car to the nearest road that will take you through the woods and quickly approach a bend that goes over a dam. As you pass the building you see two shadowy figures run out and jump inside one of two parked cars in a lot beside the road. You keep driving up the road and suddenly one of the parked cars turns on its high-beams and starts to follow. Ominous piano music playing on cue with the headlights gives you a hint that these aren’t just fellow motorists. They are in pursuit. The object of the game is to avoid being stopped by the unknown vehicle. Easier said than done. The roads are wet. Your car oversteers like a rookie driver trying to show-off leaving a car meet. And you have no idea where you’re going. 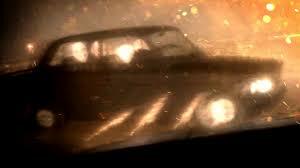 The headlights dance across the rear and side mirror as they get closer. When they bump you the car’s interior jerks forward and gets thrown around to simulate the driver’s neck being tossed around. The sound of metal scrapping blares as the car gets alongside and pushes you off the road. You hit a tree. The vehicle pulls up in front of you and see four bald heads inside. If you don’t move you see those same figures jump out of the car. They are creepy bald men that hang their heads as they run towards the driver’s side door trying to open it. The last sound you hear is the sound of a car door being opened by force. The screen goes dark and in small text the word “Death” appears. Game over. This game has loads of potential. I like the concept, because who hasn’t been a little scared of the dark while driving alone at night? Letting the imagination run wild into thinking an axe murder is hiding in the backseat. Or the only car behind you is secretly plotting your fate. The style of the game can make it a real crowd favorite with car-enthusiasts that also enjoy gaming. Tight turns, driving off-road through the woods make it feel like a rally stage, and an AI opponent that gives a real challenge. I look forward to seeing the completed game. Here is a 5 minute Preview of the Demo’s gameplay showing how the game starts and how to lose.